Do you want smooth, hair-free skin but run into hair removal treatments that are ineffectual and don’t offer the desired result? Hair removal need not be a challenging or time-consuming endeavor. You can achieve smooth hair free skin through Dr. Slupchynskyj’s Laser Hair Removal with the Spectrum Multi-Platform Laser/IPL. Our Laser Hair Removal with the Spectrum Laser treats men and women of all skin types safely and effectively. A small beam of light passes through the skin to the hair follicle. This beam of light destroys the hair follicle leaving skin hair free. 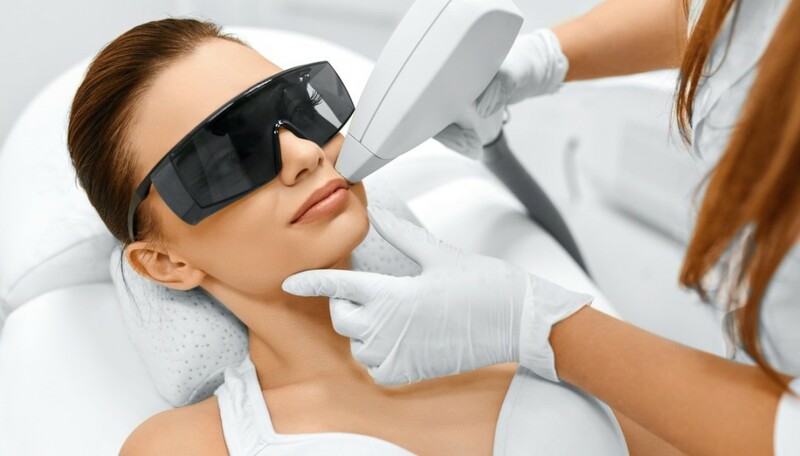 What areas can be treated by Laser Hair Removal? Areas on the head and neck include: brow, chin, cheeks, ears, forehead, lip, nape of the neck, beard line, and full beard on men. Areas on the body include: back, chest, arm, upper or lower arm, underarms, feet, toes, leg, upper leg, and lower leg. Are you ready to experience a more natural approach to a gorgeous complexion? Please contact Chatham MediSpa to schedule your Laser Hair Removal appointment today.